Goatsrue is an herbaceous perennial growing up to 6 feet tall and produces up to 20 stems from a vigorous crown and deep taproot. Leaves are compound with 6 to 10 leaflets and a terminal leaflet. Each leaflet is tipped with a hair-like appendalternate and compound on stems. Clusters of bluish lilac, reddish purple or white flowers develop pods with 8 seeds.
. Goatsrue is a federally listed noxious weed. It is capable of forming monocultures in wetland communities, displacing native and beneficial plants and destroying wildlife habitat. It is unpalatable and toxic to sheep. Goatsrue is fatal if ingested. It grows in cropland, ditch banks, irrigation waterways, uncut pastures, fence lines, roadsides and wet marshy areas. Please click here to see a county level distribution map of goatsrue in Washington. Goatsrue looks similar to species of vetch (Vicia genus), for example American vetch (Vicia americana) when not in flower. 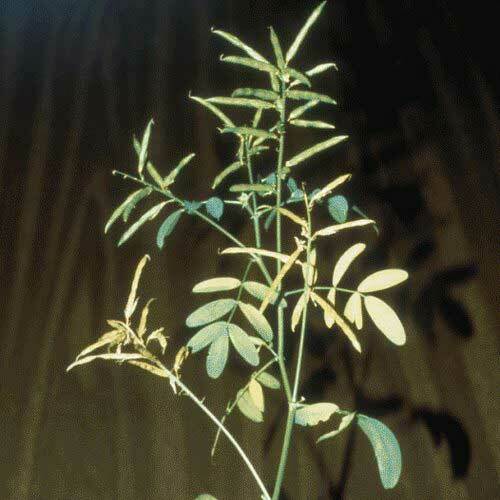 Vetch species have tendrils at leaf tips and stems that grow over and around other plants while goatsrue does not have tendrils and grows upright. Wild licorice (Glycyrrhiza lepidota), is another native plant that is similar in appearance to goatsrue. Wild licorice has solid stems while goatsrue are hollow, and wild licorice has seed pods covered in bristles and goatsrue seeds pods are not. If you need help with identification, please call our office. 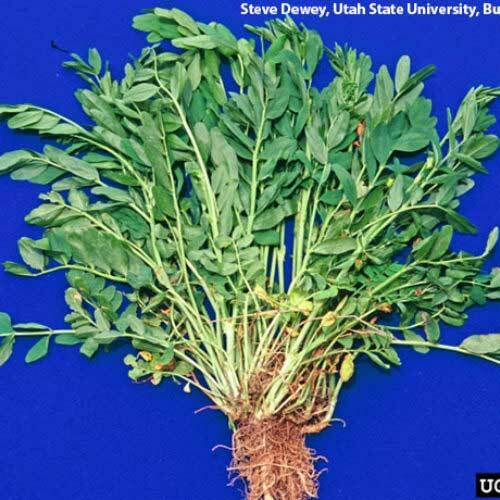 An integrated approach using a combination of landowner education, crop rotation, tillage, mowing, digging, hand clipping for seed pod removal and chemicals are used to eradicate goatsrue. Mowing is not recommended as a solitary control method as flowers and seeds can be produced on plants after multiple cuttings. 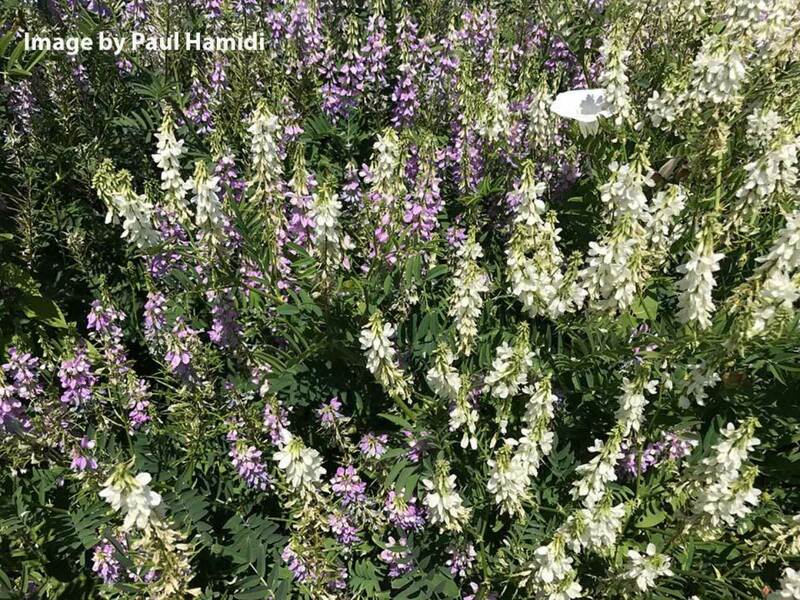 Alternative cropping and row crops are effective as cultivation interrupts the life cycle of goatsrue. Selective herbicides are considered most effective for large sites. The active ingredient Dicamba, or 2, 4-D and their combinations provide good control. Apply twice during the growing season to post emergent plants from bud to full flower, in early to mid-summer. Herbicide application is most effective when combined with mechanical control, by clipping plants once initial growth reaches 2' tall, followed by spraying regrowth when it reaches 2' again. Repeat over 2 consecutive seasons. 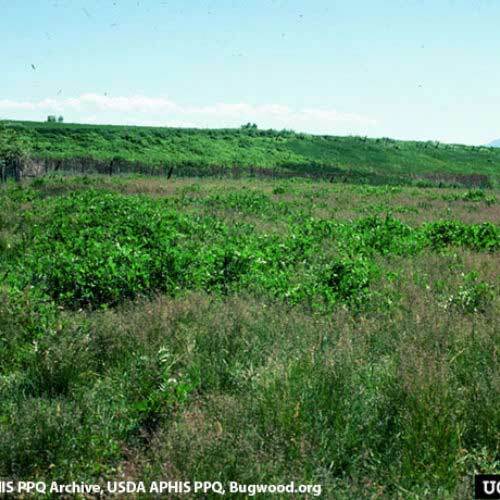 Download our Flyer or visit Washington State Noxious Weed Control Board Here.